There’s new data that suggests most of us have shifted our views on credit cards. In fact, the data suggests fewer American consumers are using their credit irresponsibly and are now paying attention to the long term affects of every credit decision made. In short, we’re using our credit cards in the way they were intended. But how does that data translate in the real world? The new data from Fitch rating agency reveals the behaviors of American consumers have shifted and as they say, the proof is in the proverbial pudding. The number of delinquent credit card accounts are as low as they’ve ever been, or at least since Fitch began collecting the numbers in the early 1990s. More of us are paying our balances in full, which means fewer of us are carrying a balance that includes interest payments every month. Michael Dean, a managing director with Fitch says we are more “high quality” because of it. That doesn’t necessarily mean more of us are qualifying for credit cards, though. Still, it’s a start, especially considering on average, credit card companies write off around 6% of noncollectable accounts each year, with a big upward trend that began in 2010 and peaked at 11.4%. Now, though, those rates are consistently falling and are already below the average. That suggests that in just two years, it’s dropped more than half. Some are questioning the formulas used, others are suggesting it’s because the number of new credit cards issued during the recession, the tougher approval requirements and the refusal to even entertain subprime candidates are the likely reasons. Data from the Federal Reserve supports that. It show that the total number of credit card accounts has plunged from nearly 500 million in 2008 to just 380 million currently. Plus, the dollar amounts offered by banks have also fallen from around $3.7 trillion before the recession to around $2.7 trillion currently. Clearly the banks’ decision making processes are affecting those numbers. Those stricter requirements play significant role and could cause some to misconstrue the Fitch data. And, too, there are those who insist this is crucial for the economy if it’s to recover properly. Now, though, some banks say they’re looking for a better balance, one that allows them to begin considering consumers they might have avoided in recent years. The two exceptions to the tighter credit requirements are federal loans and student loans, including those credit cards that might bode well for a college student. Remember, the new laws make it illegal for credit card companies and banks to target college campuses in their marketing efforts. Also, student loan balances are soaring, hitting the $1 trillion mark for the first time ever in 2012. For those parents and college students who are viewing college as an ideal time for learning about the responsibilities of credit cards, there are a few fine choices that will provide the versatility students and their families need while also lending to their efforts of beginning a credit history. 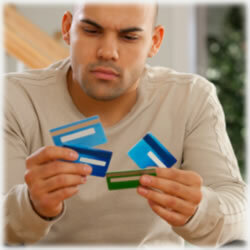 The Discover It credit card, the new definition that many believe other credit card companies will follow, is ideal. Discover It For Students is a very high ranked credit card offer that was designed by the credit card giant to “change the way people think about credit cards”. There’s no annual fees, no over the limit fees, no foreign transaction fees and you’re not charged a fee if you’re paying over the phone. Plus, there’s a bit of room for “growing pains” that some college students feel at times. The first time a payment is made late, there’s no late fee, no worries about an increased APR because of it and it doesn’t even go on the student’s credit report, so it’s not going to affect their scores. Remember, though, this is a one time only “get out of jail free” kind of situation, but it’s a powerful tool to have should the student or his family need it. Plus, there’s cash back opportunities, too. A 5% cash back offer applies through March for restaurants and movies and every three months, those categories rotate. All other purchases earn 1% cash back. Students are able to choose the most convenient due date and a due date is truly what it means: you can make payments right on up to midnight and it still be credited as on time. There, of course, is the fraud protection that comes with the Discover It credit card (and all other Discover products) and when you call with questions, you speak to a real person – from the moment your call is answered. Indeed, it’s flexible, affordable and loaded with benefits designed to set today’s college students on the path of strong credit. It’s a great tool for parents and of course, there’s the Discover It card for those who aren’t in college. The rewards and incentives are plentiful and because it’s a classic credit card, their payments are reported to the three credit bureaus. Our bank statements are shaping up again and that’s one reason, say analysts, that we’re looking to the future. Granted, there’s contradictory information that suggests one statistic isn’t as strong as the next, but keeping it in perspective and recognizing the many factors that may or may not influence these numbers ensures we don’t become overwhelmed with the numbers. One example is the underground economy, which surprisingly, affects $2 trillion every year in this country. There are also concerns that our thriftiness isn’t necessarily our nature and that soon, as the economy continues to improve, we could return to our “splurge now, pay later” mindsets. Many say delinquency rates and charge offs will likely begin increasing again. For those who are looking to find better credit card offers, the USAA Cash Rewards American Express could be the right solution. This credit card offer allows users to earn up to 2.25% cash back on gas and grocery purchases while earning up to 1.25% cash back on all other purchases. There are no caps on what you can earn and the more you use the credit card, the more cash back you earn. It’s applied once a year in January to your account. There’s no annual fee and no liability for unauthorized purchases. A good credit rating gets you approved, so it might be just the right solution for those who might have a missed payment in the past on another account, but who still have good credit scores. Finally, the analysts insist the key to stronger financial habits doesn’t rest solely on our abilities to borrow, it’s about finding the right balance in borrowing, saving and spending. The ability to prepare for retirement is crucial as well. For those who can make all of that work simultaneously are the ones who will weather financial storms much easier. Finding the right financial products is important and knowing the benefits of one credit card offer over another when it comes to our own personal needs means we’re making the most out of what’s available in the credit and financial sectors. For many of us, it comes the hard way – with stumbling blocks along the way and for others, it’s as easy as having a solid foundation put into place when we’re young.